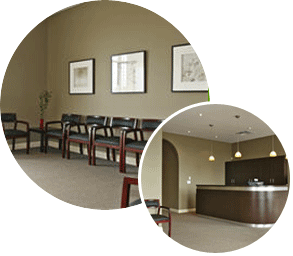 The Foot and Health Clinic is a family foot care clinic located at 728 Burloak Drive in Burlington just bordering Oakville. Our registered chiropodist can help relieve foot pain, treat skin conditions, and set you up with a pair of comfortable custom orthotics. The answer is always the same – while studying at The University of Guelph, she took a course in Human Gait – watching the way people walk and modifying it to normalize their mechanical function. By the middle of that course, Salima knew she had found her calling. She enrolled in the Chiropody Program at The Michener Institute and now loves helping people walk away from their aches and pains. The rest as they say is history. Salima has been practicing within the chiropody profession since 2001. Specializing in custom foot orthotics and diabetic foot care, Salima enjoys all aspects of Chiropody. After graduating from The Michener Institute in Toronto, Salima worked at The Flemingdon Health Centre in Toronto Ontario focusing on community foot care including hosting Diabetic Foot care Sessions. Salima made the transition to the Oakville area in 2002, working full time at The Oakville Trafalgar Memorial Hospital Foot Clinic. In addition to foot care, Salima did monthly sessions with The Hospital Diabetic Clinic regarding foot care and foot hygiene, conveying her passion to educate and share her knowledge with those most vulnerable to foot ailments. Salima began private practice in Oakville at Alliance Health Care and in Missisauga at The Foot and Back Clinic. By 2004, Salima was working full time in the private sector. 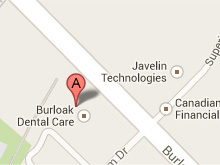 In 2007, Salima opened the Foot & Health Clinic located on Burloak Drive, bordering both Burlington and Oakville Ontario. While the clinic provides foot care services mainly to residents of Burlington, Oakville, Milton and surrounding areas, Salima’s patients drive from across the Greater Toronto Area to receive treatment for their feet and those of their children. 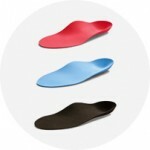 Salima invites you to book a consultation to assess your foot care needs.